(AP) MEXICO CITY - A shooting erupted at a food court in Mexico City's international airport on Monday and officials said two policemen were killed. A witness said the shooters were also wearing police-like uniforms. The shootings occurred at the airport's Terminal 2, near the area where vehicles drop off passengers. Three shots rang out at first, said witness Israel Lopez, a 23-year-old Mexico City student who had gone to the airport to see off a friend. Lopez didn't see who those first shots were directed at, but then the gunfire came closer. "We were in the food court, and some policemen came in and started shooting at another policeman who was on the floor," Lopez said by telephone. "We dove to the floor and covered ourselves with chairs," Lopez said. Lopez said the shooters wore blue uniforms, like those worn by the federal police who provide security at the airport. He said the shooters then ran off to the car park area "as if they were pursuing somebody," and he lost sight of them. Airport spokesman Jorge Gomez told local media that the two dead were police officers, as was another victim taken to a local hospital. The federal Public Safety Department says at least one was an officer, but was checking the identity of the others. The possible motives in the shooting were still unclear. Nor is it clear if the uniforms the gunmen wore were genuine; criminals in Mexico sometimes wear fake uniforms. The airport said in a press statement that the terminal and flights were operating normally following what it described as "a dispute in an open-access area." 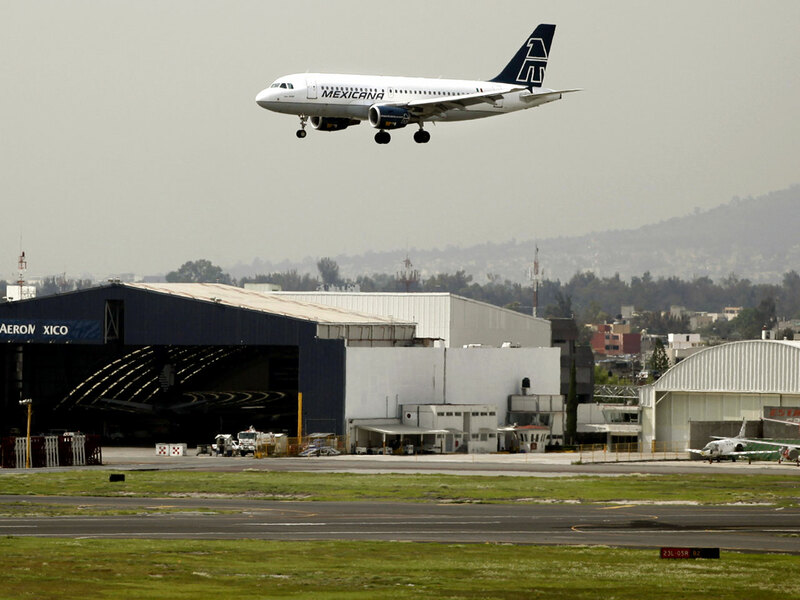 Shootings at Mexican airports are rare. In 1993 Roman Catholic Cardinal Juan Posadas Ocampo was killed in an airport parking lot in Guadalajara. Authorities later said his killers had apparently mistaken his car for that of a rival drug lord.